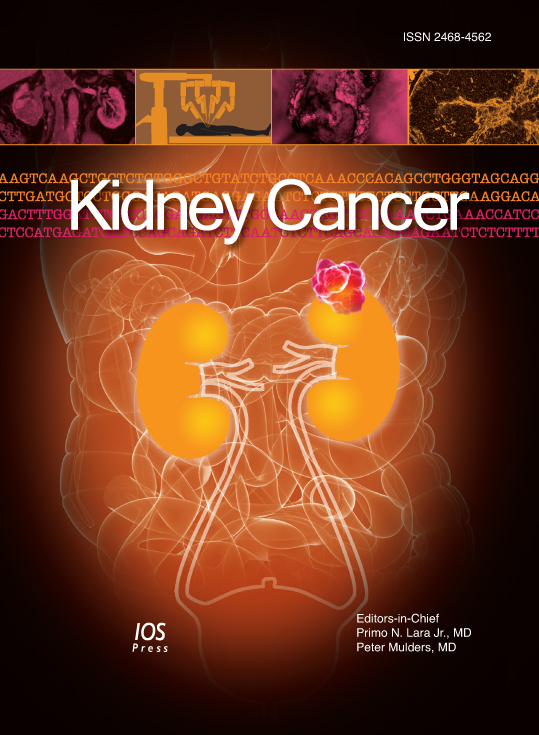 Kidney Cancer is an international multidisciplinary journal to facilitate progress in understanding the epidemiology/etiology, genetics, molecular correlates, pathogenesis, pharmacology, ethics, patient advocacy and survivorship, diagnosis and treatment of tumors of the kidney. The journal publishes research reports, reviews, short communications, and letters-to-the-editor. The journal is dedicated to providing an open forum for original research in basic science, translational research and clinical medicine that will expedite our fundamental understanding and improve treatment of tumors of the kidney. Kidney Cancer’s targeted audience is comprised of basic science researchers and clinicians in the areas of Kidney Cancer and related disorders. on subjects ranging from computer sciences and mathematics to medicine and natural sciences. Headquartered in Amsterdam with satellite offices in the USA, Germany and China, IOS Press continues its rapid growth, embracing new technologies for the timely dissemination of information. All journals are available in print and electronic format.